New Mexico in Depth is excited to announce a new student fellowship launched this year. The fellowship provides a two-semester professional experience for a student journalist of color involved with the New Mexico News Port at the University of New Mexico. 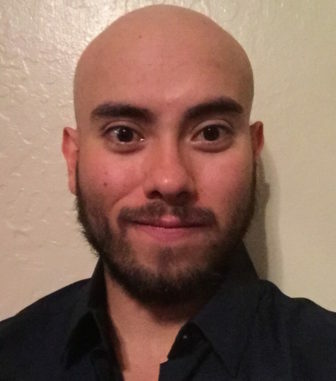 Our inaugural fellow, Robert Salas, is a senior at The University of New Mexico, studying multimedia journalism and political science. Robert possesses a strong passion for many legal issues that face New Mexicans today and he hopes to attend law school in the fall of 2017. Robert is also the President of the Society of Professional Journalists, UNM Chapter. He reports on a multitude of community driven issues, with a focus on giving voice to groups of people who don’t always feel as if their voices are heard, a strong journalistic tradition. His strong, rooted values and journalistic ethics align with those of NMID and will reflect in the content he produces. Robert loves to weight lift, hike, read comics and listen to public radio news. New Mexico in Depth (NMID) is a digital-first journalism organization that emphasizes reporting on public policy and institutions, social welfare, and the influence of money in politics. This fellowship reflects NMID’s desire to increase the diversity of the professional journalism field in New Mexico and beyond, and at the same time add value to the University of New Mexico’s Communications and Journalism program. Over the next seven months, Robert will identify and report on varied issues of interest to New Mexicans. The fellowship is made possible by the generous support of the W.K. Kellogg Foundation. A public opinion poll shows 78 percent of likely New Mexico voters favor changing the state constitution to limit the use of commercial bail in deciding which defendants stay in jail before trial and which go free. A constitutional amendment on the ballot for next week’s election would allow judges to deny bail to people who are proven dangerous at a hearing.